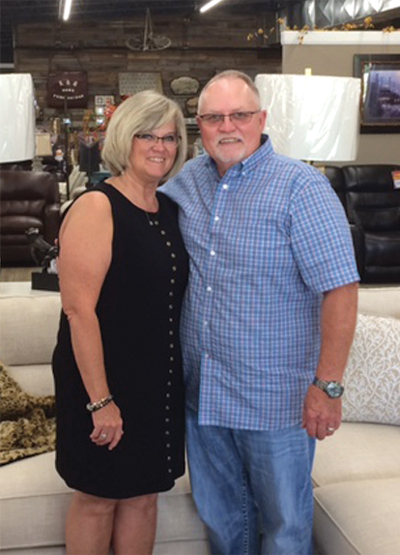 K&S Home Furnishings is a top quality furniture store in the heart of Searcy Arkansas that looks to help you fill your home with one of kind home furniture and accessories. K&S offers a wide variety of styles, whether you are looking for modern, traditional, or contemporary furniture for the rooms of your home. If you have always wanted to re design a room but haven’t done it because you have difficulty picturing what would go best in a space, bring K&S photos of your space and let their design team help you locate the best additions and changes to any room in your home. K&S Home Furnishings offers furniture in a variety of colors, fabrics, and styles to help match your tastes and help your home achieve a designer look without spending the designer prices. They have furniture for every room in your home including sofas, recliners, ottomans, love seats, tables, chairs, lamps, dining room furniture, bedroom furniture, dressers, beds, and mattresses. Free Delivery and financing is available. Come in to 306 W. Race or call 501-203-0596 today to see how K&S Home Furnishings can give you the designer look you have always wanted at a price you can afford. Visit K&S Home Furnishings online.